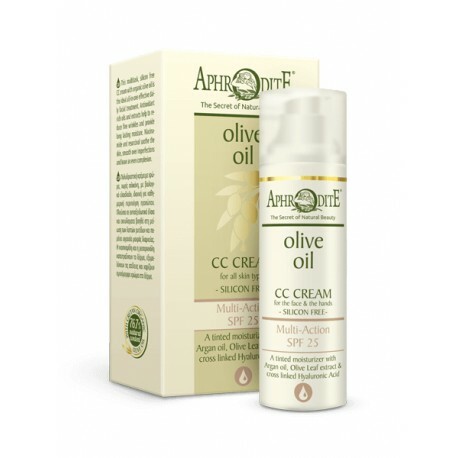 The first silicone free multitask CC cream with Cretan organic olive oil. Protects with SPF 25, hydrates, improves skin imperfections, helps to smooth wrinkles and soothe the skin. Everything you need in one product! 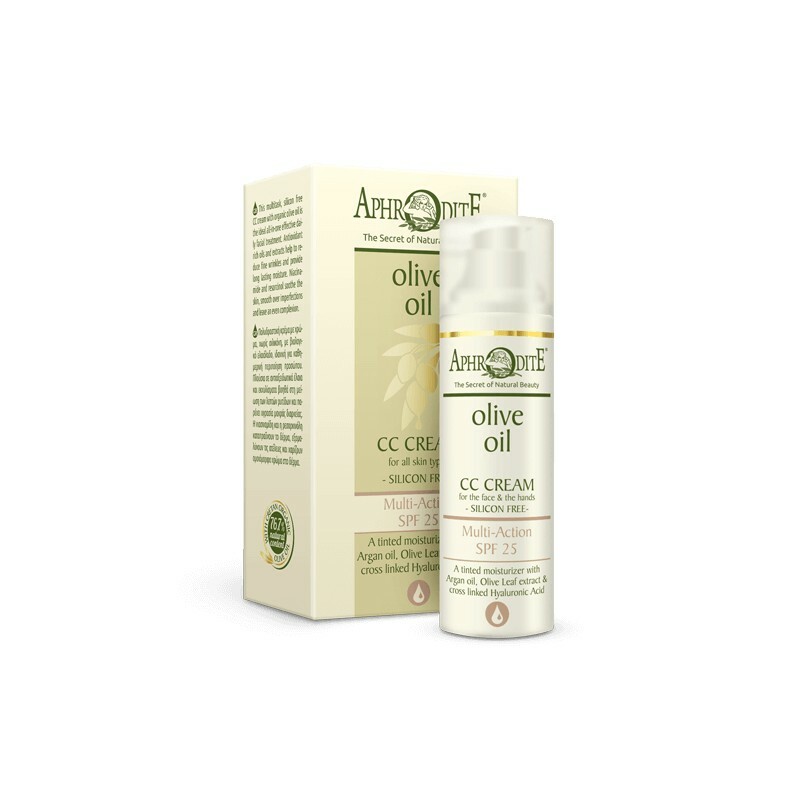 Enhance your skin with an anti-ageing treatment and the light coverage of imperfections in one step with this innovative multi-action, silicone free, CC cream with Cretan organic olive oil. 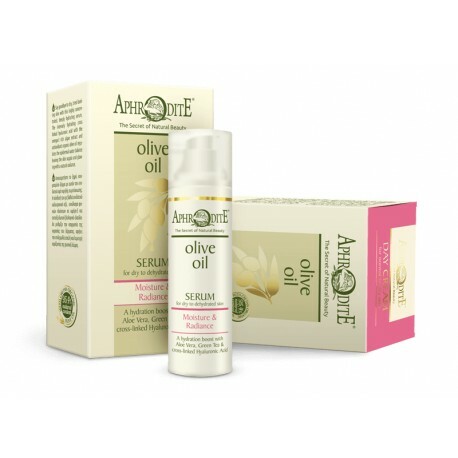 Its clever formulation of anti-oxidants, argan oil, vitamin E and δ-viniferin helps stimulate the collagen synthesis and smooth fine lines and wrinkles. 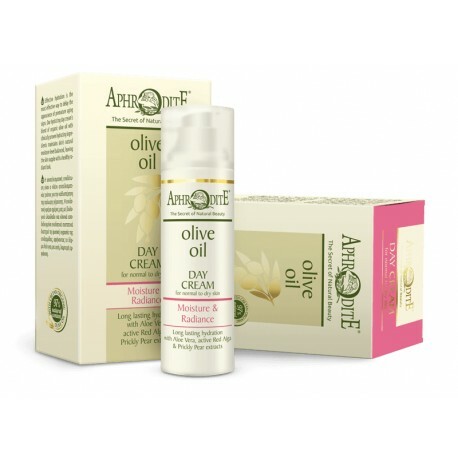 Hyaluronic acid boosts the skin’s natural moisture level for a younger, radiant look. Vitamins and soothing agents calm and help to reduce skin redness and smooth over imperfections. Siberian larch extract softens the look of skin discolorations and gives an even-tone to your complexion. Apply 1 pump of cream over the face and neck area. Gently massage with circular upward movements until fully absorbed. It can also be used as a primer under foundation. Self-adjusting shade that matches most skin colors.